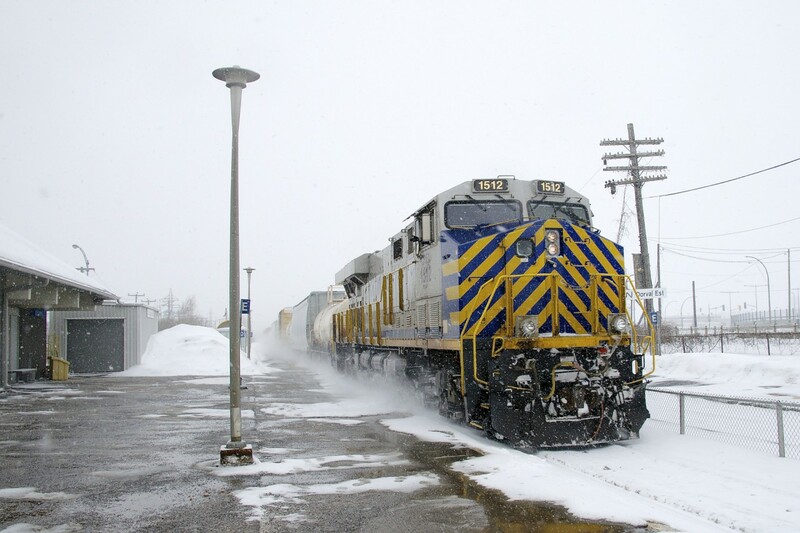 Railpictures.ca - Michael Berry Photo: CN 310 with CREX 1512 up front and CN 3842 mid-train (and 149 cars) roars past Dorval Station, kicking up the powder on a snowy afternoon. | Railpictures.ca – Canadian Railway Photography – photographie ferroviaire Canadienne. Caption: CN 310 with CREX 1512 up front and CN 3842 mid-train (and 149 cars) roars past Dorval Station, kicking up the powder on a snowy afternoon.